← Are Golfers At Risk From Lightning? It hovers like a dark cloud over many golfers’ heads: the slice. That awful thing that happens after so many drives and fairway shots, that yanks otherwise good shots offline and wreaks havoc with your game. Many golfers have given up on fixing their slice. Fixing it is just too hard, it seems. But, in reality, fixing a slice is not hard at all. The key is building good swing habits. 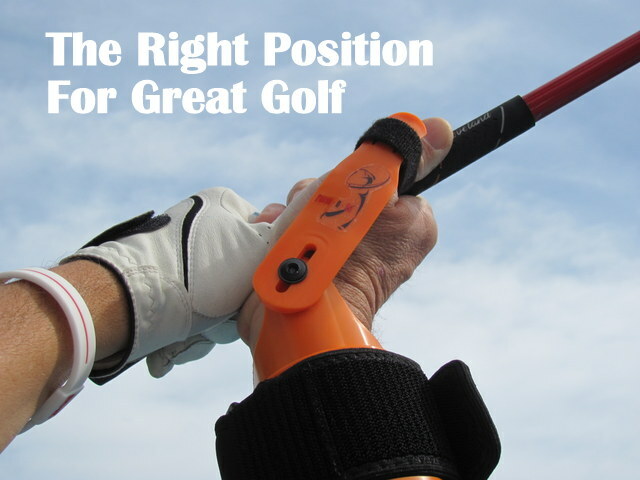 Once you have a habitual swing developed, it may be hard to change this on your own – but it’s not hard at all if you use a training device like the Pause N Throw. It fixes your backswing, giving you the flat-wristed position you need to fix your slice by making solid contact with the ball with no spin. Once you give Pause N Throw a try, you’ll be amazed how easy fixing a slice can be! This entry was posted in Accuracy, Uncategorized and tagged Fix a Slice, golf, Slice, Training Aids. Bookmark the permalink.